My friend recommended this book to me. A funny, yet slightly sad, storyline with a surprise ending. Had a great plot and the story unfolded so well. Narated perfectly. Can't wait to read her next book. I already have listened again and again. There's so much information, plus it fills me with such positivity. Joe's energy and passion when telling his stories and sharing information shines out. Which character – as performed by Joe Vitale – was your favorite? 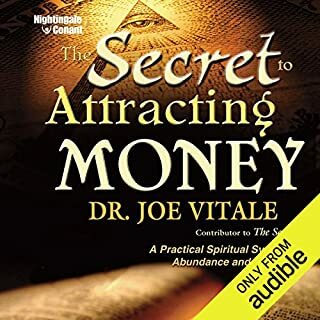 What insight do you think you’ll apply from The Secret to Attracting Money? There are many great ideas I've taken away from this book. I highly recommend this book and have gone on to ordering two more in his collection. Agatha Raisin's detective agency has become so successful that now all she wants is some R&R. But as soon as she cuts back her hours, Agatha remembers that when she has too much quality time, she doesn't know what to do with it. So it doesn't take much for the vicar of a nearby village to persuade her to help publicize the church fete, especially when the fair's organizer, George Selby, happens to be a gorgeous widower. Wanda McCaddon is NOT Penelope Keith.!! Would you listen to A Spoonful of Poison again? Why? George - he was dispicable!! I certainly laughed in a few places. Cry - no. Agatha Raisin is bored. Her detective agency in the Cotswolds is thriving, but she'll scream if she has to deal with another missing cat or dog. Only two things seem to offer potential excitement: Christmas and her ex, James Lacey. This year Agatha is sure that if she invites James to a splendid Christmas dinner, their love will rekindle like a warm Yule log. But that fantasy will have to wait for now. 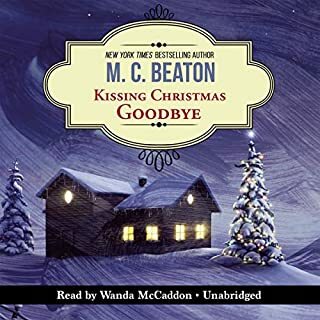 Would you listen to Kissing Christmas Goodbye again? Why? Love this style of writing, good characters, great storylines. 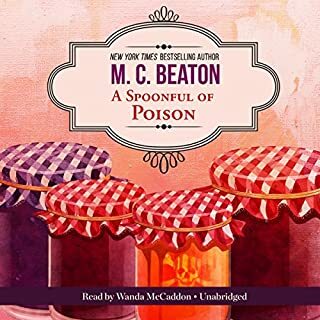 I have become a fan of Agatha Raisin mysteries! I loved Agatha, she sounds a very spirited lady! I also think Tony has opened up and is a good sidekick to Agatha. There were a few good ones, but I enjoyed her first visit to the Manor House and the subsequent weekend she spent there. I also particularly enjoy hearing about the villages in the Cotswold she lives in, or visits. One of my favorite parts of England so it's lovely to imagine where she is. Yes, if I had the time. I am now an Agatha Raisin fan!. Just signed up for her latest book. Can't wait to start listening. This book just wasn't my style. I found it hard going and difficult to keep up with the story as all the characters were telling their accounts separately. I know it was written this way, but I didn't enjoy this style. 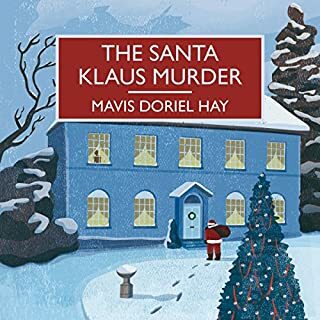 What could Mavis Doriel Hay have done to make this a more enjoyable book for you? I like a story to unfold like a story, not just statements, or their accounts, being read out by each character. I would have returned the book earlier and I probably should have. Sorry. 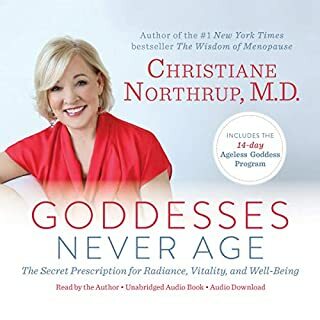 Would you consider the audio edition of Goddesses Never Age to be better than the print version? I haven't read the printed version, but I'm tempted to buy it now as there were many things I heard that I'd like to have a record of. There's too much to write down so the written version would be useful. .
Have you listened to any of Christiane Northrup’s other performances before? How does this one compare? No haven't read her books before, but I'm going to find another one right away! 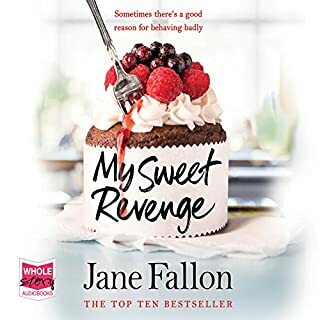 Her narration is excellent and the information, and inspiration she has given is fantastic. I'm looking for another one of her titles to listen to. I highly recommend this book, especially if you are a 50-something ageless goddess like I am now! !